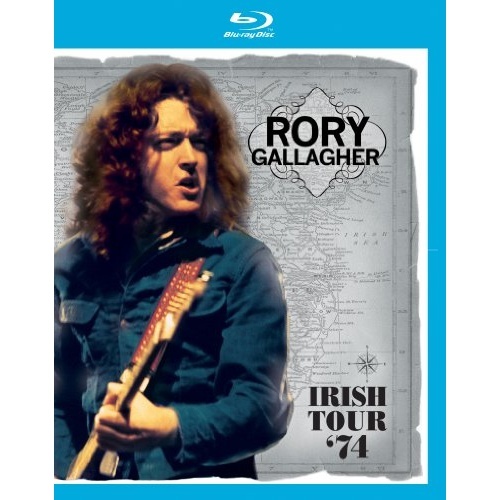 This CD/DVD is a documentary and concert film of Rory Gallagher’s 1974 tour of Ireland. It has been remastered and is now available, for the first time, on Blu-Ray. It was recorded at Belfast’s Ulster Hall, Dublin’s Carlton Cinema and Cork’s City Hall. It was directed by award winning filmmaker Tony Palmer and was filmed as a made for TV special. But it turned out to have a mass appeal and spread to the UK and then to America. He really dubs down the tempo with the solo acoustic “As The Crow Flies,” where he plays the Dobro while simultaneously playing the harmonica. Gallagher has the talent to go from electric to acoustic guitar in a moments notice, and it sounds just as good. The film also includes fantasy sequences of the Irish countryside. It showcased the beauty of the local nature scenes and historic landmarks. He reveals that he first heard any type of guitar being played from older American acts like Gene Autry. And you can even hear that throughout the concert especially during the acoustic sounding numbers. There is also home movie footage from Gallagher’s Japanese tour also in 1974 and a half hour documentary from the Irish TV network RTE.